During their annual teaming up, Bernard Haitink and the London Symphony Orchestra visited Paris for a two-day stint at the Salle Pleyel. On both occasions they were joined by the Portuguese pianist Maria João Pires performing a Mozart concerto. 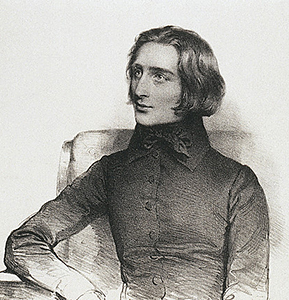 And while Bruckner’s Seventh Symphony was offered as the main course for the first, it was Schubert’s Ninth which capped the second night. Categories: Concert reviews | Tags: Anton Bruckner, Bernard Haitink, Funeral Music for Queen Mary, Henry Purcell, London Symphony Orchestra, Maria João Pires, Paris, Salle Pleyel, Wolfgang Amadeus Mozart | Permalink. Odd couplings of repertoire are not uncommon, especially with violinists (think of Hilary Hahn), and to our great pleasure young Mikhail Simonyan, too, newly signed by Deutsche Grammophon, comes out with the unusual pairing of Aram Khachaturian and Samuel Barber. 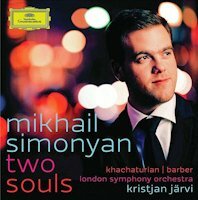 “Two Souls”, as his debut concerto recording is dubbed, refers to Simonyan’s Armenian and American sides. Born in Novosibirsk in 1985 to mixed Armenian and Russian parentage, he spent his teens in the U.S. Playing the violin since he was five, he was already a multiple competition and prize winner before completing his studies at the Philadelphia Curtis Institute with Victor Danchenko, himself a pupil of none less than David Oistrakh’s. The choice of the Khachaturian Violin Concerto was in this respect not just an homage to his Armenian roots but also to the great Oistrakh who premiered the work. 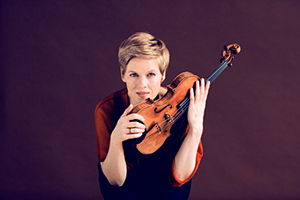 Interestingly, although worlds apart in style and spirit, both concertos are practically contemporary – 1939-1940. Categories: CD reviews | Tags: Aram Khachaturian, Concerto for Violin, Deutsche Grammophon, Kristjan Järvi, London Symphony Orchestra, Mikhail Simonyan, Samuel Barber, violin | Permalink.